Anglers Lodge in San Francisco’s Golden Gate Park, built in 1938 as a W.P.A. project. Some might wonder how an architect could also be a fervent environmentalist; after all, we cause things to be built which is almost always environmentally disruptive. But as students of design, we marvel at how ecological complexity is balanced in nature, and strive for this kind of balance in our work. As we seek a greater understanding of the wild environment we also see that it can be best protected by building dense cities, whose inhabitants are mostly liberal and subscribe to blue politics. Not too many architects are “outdoorsy”, but those who are seem to be attracted to fly fishing. Like architecture, fly fishing is a blend of art and science. One can spend an entire day fishing, catch no fish, but return satisfied because casts were perfectly executed – it was the fish’s problem, not yours. Like a well thought out design that was rejected by the client. The first architect I worked for was a fly fisherman, although I didn’t initially know it. There was a guy in the office who just looked like a fisherman; I thought he was one of those guys most firms have who know about contracts, or construction, and meet with the partners regularly to keep the firm out of trouble. One day I asked one of my co-workers who that guy was – turned out to be the founding principal of the firm, Joseph Esherick. Not only was Joe one of the most influential architects of his time, AIA Gold Medal winner, and nephew of the famous sculptor Wharton Esherick (Lou Kahn designed his studio), but he had fished the big rivers of the West and had a collection of rare bamboo fishing rods. His love and understanding of the wilds were clear influences on his work. 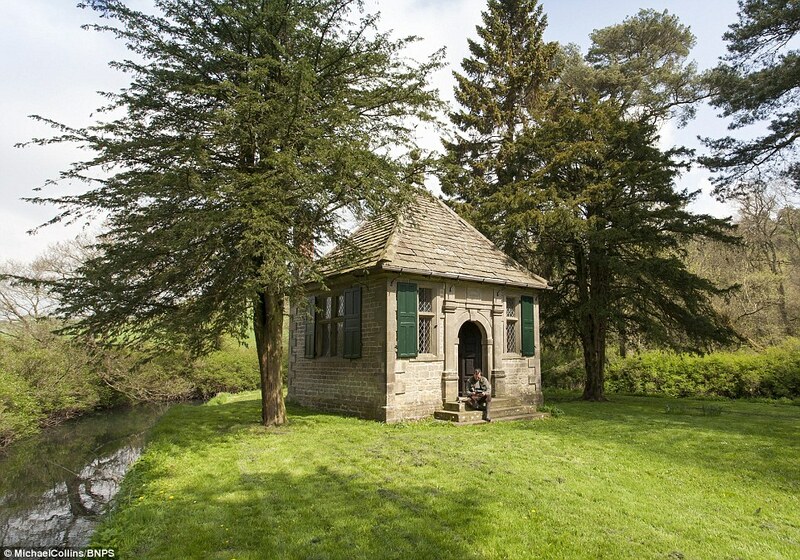 Izaak Walton’s fishing lodge, the stone ‘temple’, in Staffordshire, England. Walton’s The Compleat Angler, published in 1653 defined fly fishing as we know it today. Photo by Michael Collins. Fly fishing appeals to the curious mind, and knowledge of fish habitat, including more insight into the lives of insects one would ever image could be useful, leads to success. It also comes with a long history and a kind of ethic. Fly fishermen move around and try not to leave much of a trace of where they have been, and often the fish caught are immediately released to fight another day. Fish that fly fishermen go after live in beautiful, pristine environments, and their disappearance from a river or lake often indicates an environmental imbalance upstream. Mostly, for those who subscribe to red politics, fishing is quite different. There is no attempt to fool the fish into taking an artificial imitation of its natural diet; if a piece of cheese works, use it. After all, the goal is getting the fish to take the bait. There is no need to hike to remote areas when there are plenty of fish available in reservoirs, courtesy of the Fish and Game Department. Bait fisherman keep the fish they catch, and some feed their families this way. In general, these two groups don’t understand each other. One is typically urban and liberal; the other rural and conservative. What they have in common is fishing – they don’t necessarily hate each other; they just have divergent points of view. Blue leaning fly fishermen can get along fine with red leaning owners of bait shops as long as they don’t talk politics. Plus the blue leaning fly fishermen could benefit from some empathy for the red leaning bait fisherman’s point of view. Traipsing through a campground with $2,000 worth of gear and a guide elicits the same disdain rural conservatives have for urban liberals. Most architects have sensed this same feeling from some contractors and construction managers who think much of what is important to us just gets in the way. However there is more at stake than merely differing viewpoints. Like in the wider political spectrum, the conservative viewpoint on fishing can lead to severe environmental consequences. Some red leaning fishermen, revealing no understanding of the balance of the wild environment, will defend their right to catch the very last fish in a lake or stream run. And then they will brag about it. 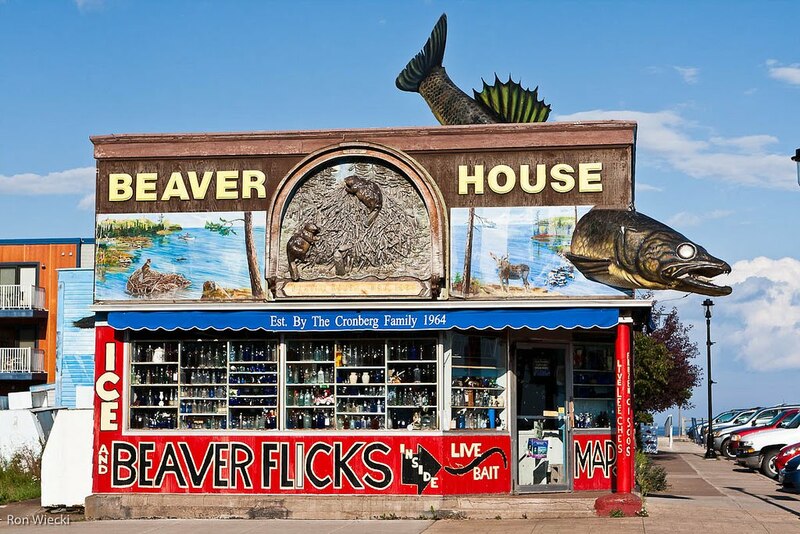 Beaver House, in Grand Marais, Minnesota by Ron Wiekci. Vernacular architecture at its finest.